Former NCAA Champion to make first US Open main draw appearance in four years. Asia Muhammad leads women's challenge. 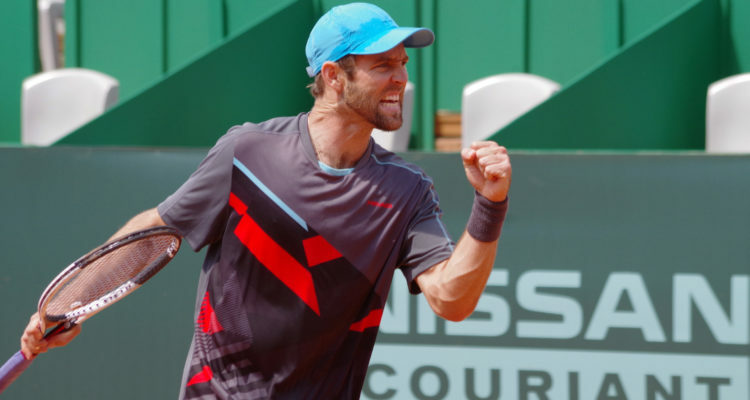 Former NCAA champion Bradley Klahn clinched a main draw wild card entry into the US Open on Monday by beating David Ferrer in the first round at Rogers Cup in Toronto to win the US Open Wild Card Challenge. Klahn, 27, made his last appearance in the main draw of the US Open in 2014, the year he rose to No. 63 in the world. Multiple back surgeries then kept him out of the game from February 2015 to November 2016, during which he contemplated retirement, before eventually returning to competition on the USTA Pro Circuit. He qualified and reached the second round at Wimbledon this summer, marking his first Grand Slam main draw appearance since 2014. Klahn clinched the Challenge — which awards one American man and woman a main draw wild card entry based on their results in a series of hard-court professional tournaments over a five-week period — with his showing in Toronto on top of winning the $75,000 ATP Challenger in Gatineau, Quebec, three weeks ago. His victory over Ferrer gives him enough points (150) to outpace challengers Michael Mmoh, Marcos Giron and Tommy Paul, who are competing this week at the $100,000 USTA Pro Circuit Challenger in Aptos, Calif.
Asia Muhammad currently leads the women’s side of the Challenge, but a number of players competing this week at the $60,000 event in Landisville, Pa. — including Gail Brodsky, Ashley Kratzer, Nicole Gibbs and Jessica Pegula — could overtake her. In the event of a tie, the player with the best WTA singles ranking on Aug. 13 will be awarded the wild card. Click here to view the current standings. Only hard-court events are included in the Challenge, which will consider the best three results for the men and the best two results for the women during this five-week window. Only Americans who do not earn direct entry into the US Open are eligible. In the event of a tie, the player with the best ATP or best WTA singles ranking on Aug. 13 will be awarded the wild card. This entry was posted in Grand Slam, US-Open and tagged Bradley Klahn, US Open Wild Card Challenge.